Home Finance What Are Bridge Loans? All You Wanted To Know About Bridge Loans. What Are Bridge Loans? All You Wanted To Know About Bridge Loans. 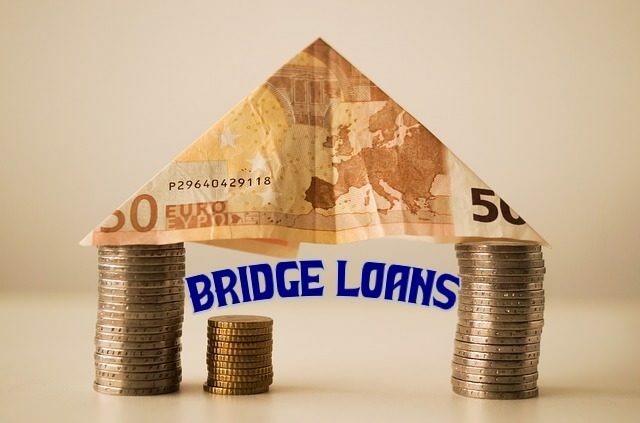 A bridge loan is a short-term or interim loan which is usually availed for a minimum of two weeks to a maximum of three years. This loan helps bridge the financial gap while the person or business is awaiting a long term loan. Long term loans can take time and in the meantime, the bridge loan is availed so that there are no financial difficulties. Bridge loan is also known as a swing loan. In the UK, it is known as a bridging loan or a caveat loan. In South Africa, the loan is known as bridging finance, but then as Shakespeare said, a rose by any other name is still a rose, right! Bridge loans are normally availed by property developers. Property development is a huge task and involves lot of planning and money. Necessary approvals need to be taken from various government departments and this could lead to delays. While waiting for the necessary approvals, the developer may not get conventional loans. By opting for a bridge loan, the developer can continue with work which does not require approvals. Once the approvals are obtained the developer can apply for conventional loans and then repay the bridge loan. When an individual wishes to buy a property and make a down payment on the new home, he may be faced with a situation wherein he needs to sell the old property. In such a situation a bridge loan can be availed on the basis of the equity available on the current home and when the property is sold the bridge loan can be repaid. Bridge loans can also be used when a business is in need of working capital and there is a delay in getting the necessary funds. A business needs to run and lack of working capital can cause huge problems, but with a bridge loan the business will be functioning smoothly and once the necessary funds arrive the bridge loan can be repaid. These are the most common uses of bridge loans. However, care should be taken when you apply for a bridge loan. Though the formalities are few, the fine print needs to be read thoroughly. Also, the rate of interest on bridge loans(try this free online calculator) is way higher than the conventional loans, so make sure that you use the funds for a short duration and also ensure that you repay the loan as fast as you can. Using a bridge loan should be an exception rather than the norm for the business to be successful.